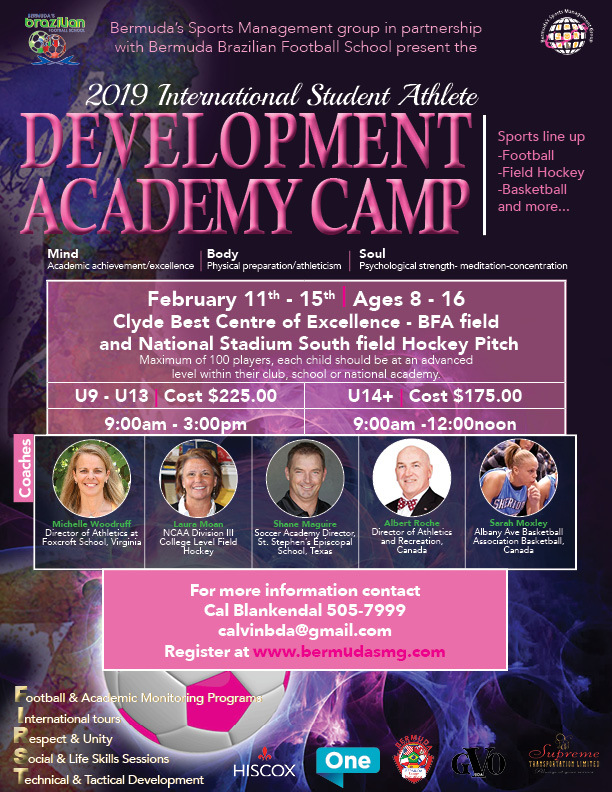 Bermuda Sports Management Group in partnership with Bermuda Brazilian Football School will be hosting their International Student Athlete Development Academy Camp from Monday, February 11 to Friday, February 15. The camp was initially planned as an all girls event but organizers said, “We wish to inform you that due to the low number of registrations [All Girls Camp], we have decided to make the camp inclusive [coed]. Boys aged 9-16 are now able to register. New registrations can access the program here. A spokesperson previously said, “The 5 day camp will provide our athletes with an on island affordable opportunity to showcase their potential to a group of highly qualified and experienced coaches. Our student athletes will have realistic opportunities to receive overseas training, trials and academic bursaries.